When I talked with Irish mountain-runner Moire O Sullivan a few weeks back, she gave me some tips for her favourite places to run when she at home in Ireland. "To start off, I’d head straight to the Phoenix Park in Dublin. Having visited over 40 countries around the world and found cities without a blade of grass in sight, Ireland should be damn proud of its city centre park. If I’ve an afternoon off and need a quick mountain fix, I’d drive up to the Dublin Mountains and run Tibradden to Fairy Castle and back. Great views of the city and the Irish Sea, less than 10 minutes drive from the M50. 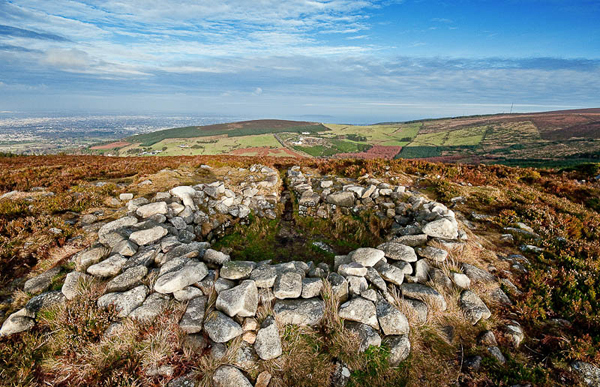 And if I had wheels and a whole day off, I’d be tempted to head to the Mourne Mountains in Northern Ireland. Nice big climbs with some crazy, vertigo-inducing descents. My most favourite races are there, including the Mourne Mountain Marathon. Two days totalling 50 kilometres with tent, food, and sleeping bag and on your back. And the Mourne Seven Sevens (a route of seven peaks all over 700 metres. Where do you run when you have some extra time?